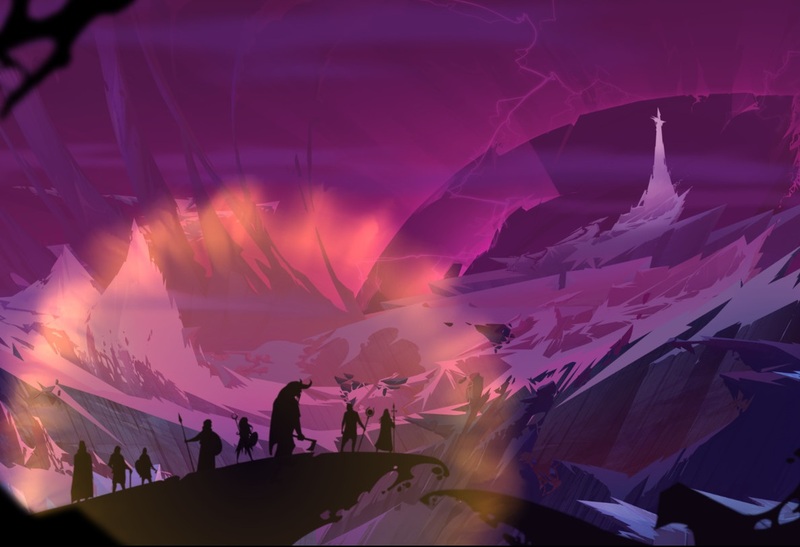 As the Banner Saga draws to its fateful conclusion, what was previously a death march now feels like a funeral procession. The team behind it has risen to unexpected heights in the wake of the success of the trilogy’s first two titles. There’s always been a feeling of inevitability connecting the various games together, but how all those pieces fit together isn’t made quite clear until the trilogy’s conclusion. Banner Saga 3 opens with a messy bout of opt-in violence. While temporarily exciting, it doesn’t quite detract from the rather depressing turn of events that the second title set in motion. While you can pick up the game without having played the others, you’re going to have absolutely zero context for the events that play out in quick succession. For the stalwarts who have played their share of the previous titles, you’ll have the option of carrying your progress over. This is no different from Banner Saga 2, but it’s a good way to establish the continuity that has been established so far. However, even if you’re a veteran of the series, you’ll likely still be thrown for a loop. The inter-factional politics in the series are racketed up a notch, and the laser focus on relationships between everyone at the end of the world can be excruciating. If you’ve stuck with the Banner Saga throughout all three titles, then you’re probably the kind of masochist that enjoys the emotional push and pull created by one of the game’s two main storylines. There’s the Aberrang survivor cluster - old party members who are toughing it out in the last frontier before the void. This serves almost as a call-back to the first Banner Saga where you first taught how to navigate the politics of disparate factions and how to tell an ally from a backstabber. Those concerns are dialed up to a hundred here in Banner Saga 3, where every character appears to be making decisions with the knowledge that the world is going to end very soon. Cynics, hopefuls, and those just wanting to get by are all forced into a melting pot of disagreements and squabbles that err on the side of deadly. Meanwhile, your other party members are journeying into the metaphorical belly of the beast. Along the way, they have to contend with a very physical manifestation of their failure to assist every wayward soul fleeing from certain danger. These manifestations come in the form of the Warped -- those who were too slow or too weak to flee, and who have been twisted into inhuman entities. While there isn’t much to speak of in term of enemy variety, it’s clear that they’re out to get you, and their new attacks make things dicier than before. 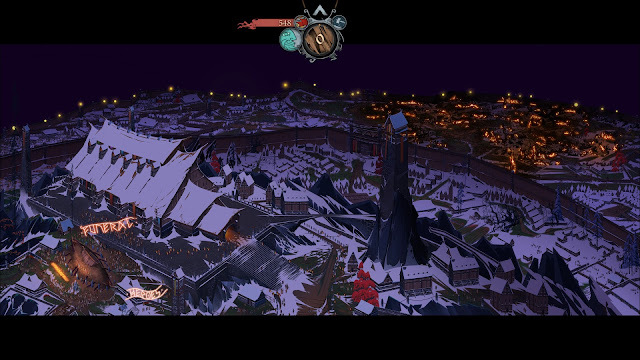 There’s no change at all from the bread and butter of previous Banner Saga games’ combat. For the uninitiated, you have to keep an eye out on your health and armour, and you have the option of empowering attacks in a tight spot. As you level up, you’ll have the option of making yourself stronger, but the effectiveness of that is questionable. While the titles have always challenged players, it’s in this latest game that the gap between friend and foe can feel nearly insurmountable at times. This is mainly due to the fact that while it’s business as usual for players, the new enemies that you have to face have a host of new tricks. 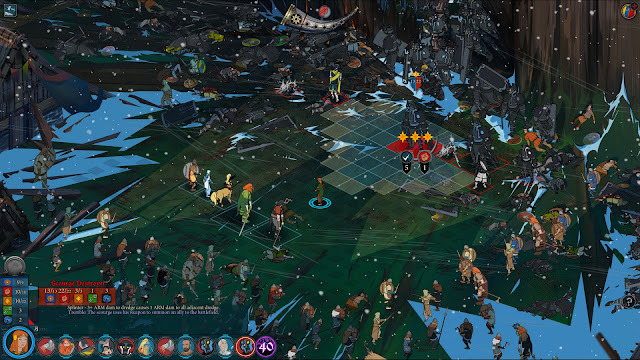 Those who played Banner Saga 2 will remember when destructible terrain was introduced to the battlefield. The Warped add another layer to this by delivering AOE debuff pools on death which buff them in turn. Previous strategies involving waiting out turns until sufficient willpower was built up will find little purchase here; there’s a risk vs reward play to prioritising enemies in a way that won’t make combat more hazardous for yourself. As in all other titles, falling in combat will leave you at a serious disadvantage. While there may have been some leeway in the first Banner Saga with regards to resting between bouts, the omnipresent ticking clock of the world ending disincentives you from doing so in this one. As such, you may find that losing a single encounter eventually puts you into the dirt, as your party members struggle to find martial victory in their wounded states. As the difficulty ramps up towards the end of the game, it can be incredibly frustrating to hit these roadblocks as the narrative gets more tense. There’s nothing quite more immersion-breaking than having to reload an old save. That being said, the story does such a fantastic job of unfolding in many heartbreaking ways that you could easily look past the fighting being a bit of a slog. 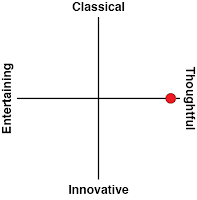 And it's truly impressive how the game manages to take into account all your decisions across the entire trilogy. For those who may have felt like they were being too soft-hearted, it’s nice to know that your efforts weren’t for nothing. Banner Saga 3 does a good job at guiding you through painful decisions without overtly forcing your hand by making everything intensely personal. 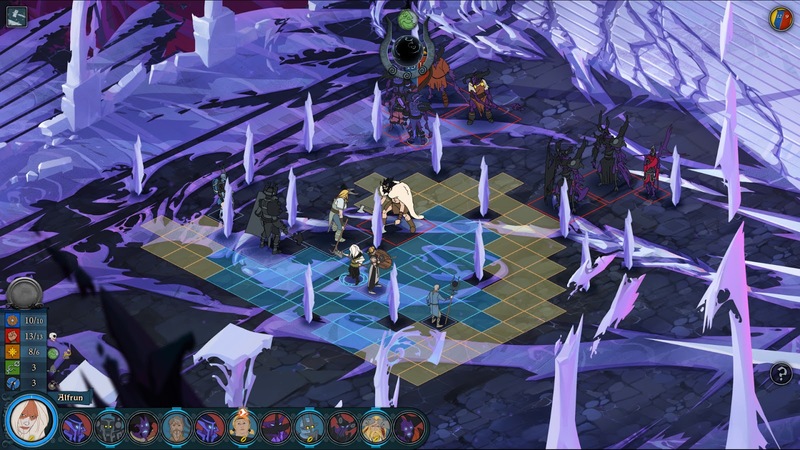 As with the previous Banner Saga games, it’s all about individual decisions made under difficult circumstances that don’t quite provide the full picture until it’s too late. 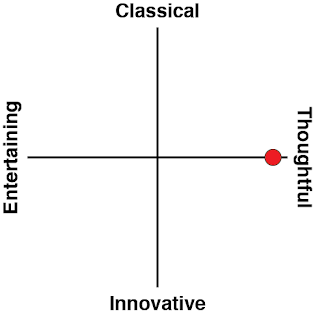 However, the finality of those decisions is remarkably cathartic, regardless of whether or not you feel you made the “wrong” or “right” choices throughout the saga. It may have been difficult to see where the interconnected threads from the first two games were going to end up, but Banner Saga 3 ties up its loose ends very neatly. There will likely be some controversy about whether or not the endings available were satisfactory or good, but it was hard to imagine how anything truly positive could have arisen from the game’s apocalyptic scenario. At the end of the day, Banner Saga 3 is the appropriate swan song of the trilogy; hopeful, mournful, and utterly breathtaking.